1) Sophisticated Neo Prog band from Spain, with vocals in english and spanish, pretty much on the Jon Anderson style, but the music is not YES like. GALADRIEL's sound is soft and very well elaborated with dynamic changes and nice accoustic passages. Their music is more in the vein of the classic italian progressive sound (like Early PFM, for example). "Chasing the Dragonfly", the 2nd album from this Spanish band, combines ethnic flavors with a very mundane neo prog style for an overall sound that is unique. 2) A 6-piece Australian band who released one album of mixed goodies in the early 70’s: some blues-tinged psychedelic rock, late 60’s hippie-style, with some West Coast vibes. They were working on a second album but somehow the master tapes were destroyed and the album never materialized. Following this, the party split up in 1972, their guitarist/vocalist Garry Adams as well as drummer Doug Bligh teeming up with a band called The CLICK; Bligh later joined another Aussie symphonic prog outfit (WINDCHASE) for their album “Symphinity” in 1977. The band’s sole legacy, a self-titled album released in 1971, is quite similar to myriads of obscure early 70’s rock bands with vague progressive leanings: blues based with elements of soft or folk-rock (JETHRO TULL-style for the flute), a bit of jazz and some hard rock. The folk-tinged tracks seem to work best; the others, although quite varied in style, are rather dull. Not essential although it could be of some interest to fans heavily into “early roots” prog. 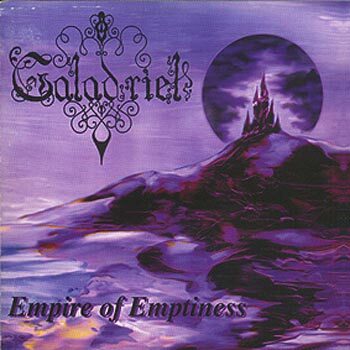 3) The Slovak metal band GALADRIEL was found in the July of 1995 by vocalist and bass player Dodo Datel, guitarist Voloda Zadrapa and drummer Dr. Victor Gieci. This trio built this band from the ruins of heavy metal band Trojan Warrior. The musical direction of this members moved more to doom metal, which was very strong style in the middle of 90's. The early beginnings were signed by looking for the right people to complete the line-up. And therefore there were often personal changes. In the beginning of the summer 1996 enter the band female vocalist Sona Witch Kozakova. 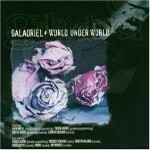 In this 4-member line-up GALADRIEL recorded their first promo CD in August 1996. The keyboards were recorded by friendly King (in that time the member of Lunatic Gods). In autumnal days enter the band the rhythm guitarist Chulo Malachovsky. With his help band wrote next three songs and recorded them in January 1997. In that time Unknown Territory (a new small british label) offer the contract for GALADRIEL. So, both recordings were completed and finaly released in September 1997 as a debut CD called "Empire Of Emptiness". But in the summer of 1997 the band overcame the personal exchange on the post of lead guitarist. Voloda Zadrapa left the band and his place took young guitar talent Tomax Gabris. GALADRIEL found their first keyboard player Erik Schmer. In this line-up band prepeared their new material and it was recorded in November of 1997. 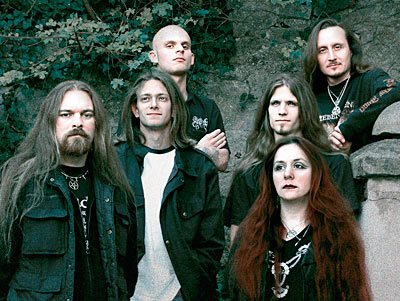 Two more songs were recorded in the spring of 1998 already without keyboardist Erik Schmer. New keyboard player was J.S.K. All these songs were released in the January 1999 as a second CD "The Mirror Of Ages" by the same label Unknown Territory. The break of years was signed by the next exchange in the band. Chulo Malachovsky left the band and his place was ready for new guitarist Gabriel Holenka. 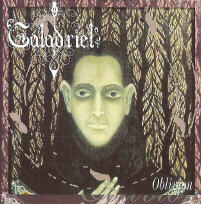 In 1999 GALADRIEL wrote and record all songs for their third CD "Oblivion" which was released in March 2000. It was the last record for the Unknown Territory. The band was not satisfied with their work, and in the summer of 2000 left this label. In spring of 2001 GALADRIEL recorded their cover version of Blind Guardian's "Bard's Song - The Hobbit" for the tribute compilation "Tales from the Underground" (already without Gabriel Holenka). The atmosphere in the band was not very good in that time, but the result of this song helps to put members together again. 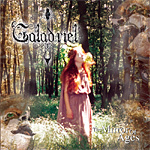 New songs were finalized very soon and few months later GALADRIEL recorded their fourth CD "From Ashes & Dust". We can said that this record was a turning point for the band. The sound and arrangements of this record were more better than before. 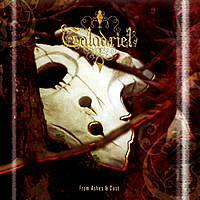 With this record GALADRIEL soon signed the contract with Metal Age Productions (Slovak label) which released this album in 2002. In the end of 2002 enter the band new rhythm guitarist Matus Hanus. But in the beginning of 2003 the still old pesonal problems surfaced and the band was near the tragical extinction. Three old-years members left the band (Sona Witch Kozakova, J.S.K. and Dr. Victor). After this hurricane the band (Dodo Datel, Tomax Gabris and Matus Hanus) prepeared new songs and in autumnal days recorded their next album with many guest musicians. This CD called "World Under World" was released in March of 2004 by Metal Age Productions again. The line-up of the band was for next months completed with drummer Pyros (ex-Orkrist), guest keyboard player Andrej Kutis (Castaway) and few gigs played bassist Ian Porkert.